In our continuing search for the best smart home technology available, we’re now covering the innovative field of smart home blinds. This might come as a surprise, but even the windows and shades of your home can be improved with smart technology. These products allow for the complete customization and control of the natural light entering your home. What are some of the major benefits of smart blinds? Let’s count them! First of all, energy savings is a huge positive benefit. When your blinds can be smartly programmed or automatically set to open and close at the appropriate time of day, your home can enjoy the passive energy savings. 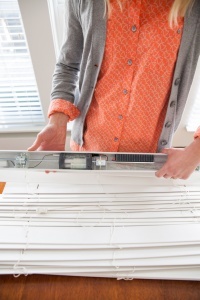 When the blinds are closed while you’re away at work, the home will stay dark and cool in summertime, so that you can arrive home to a comfortable space without the expense of air conditioning. Even better, most of these can be programmed to open before you arrive. Even better, you can make sure that the blinds are closed for bedtime, but opened before you awake. This gives a great start to the day, with natural light helping raise you out of slumber. In our collection, you’ll also see unique new ways to control the windows themselves: smart film. This film attaches to the windows and can be programmed to move from transparent to opaque at the touch of your smartphone screen. This device grants privacy and shade in spades. 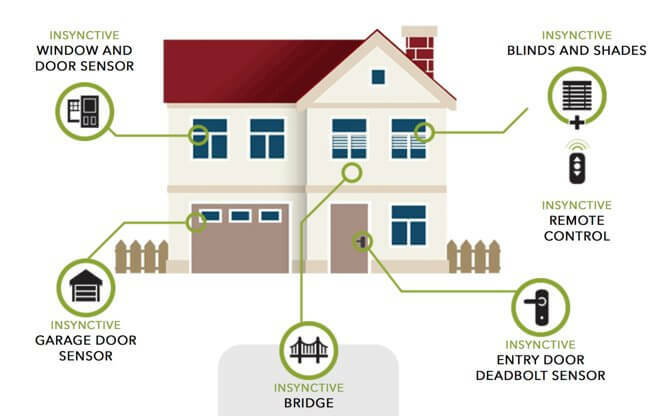 Beyond these obvious tangible benefits, you’ll find a whole host of reasons to choose smart blinds and never go back. From security to privacy to simple convenience, they beat the standard models on every front. We hope you enjoy our gallery and find some inspirational products for your own home. See more fantastic smart home products, check out our smart home technology ultimate guide! The beauty of these modern shades is that, along with sporting a double layer that perfectly diffuses sunlight, they are utterly easy to operate. Along with physically manipulating them, the shades are designed to work with either a remote control or your smartphone or tablet, with their signature Platinum app. 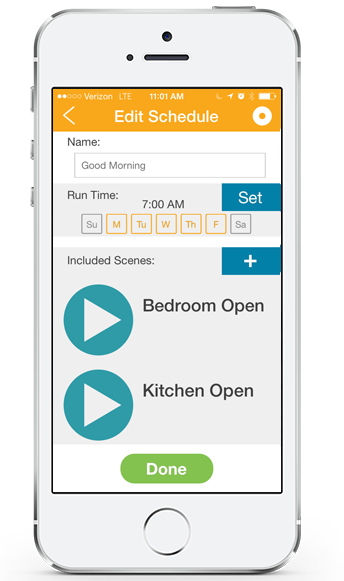 You can set schedules and “scenes” to rotate through, changing the way your shades look throughout the day. 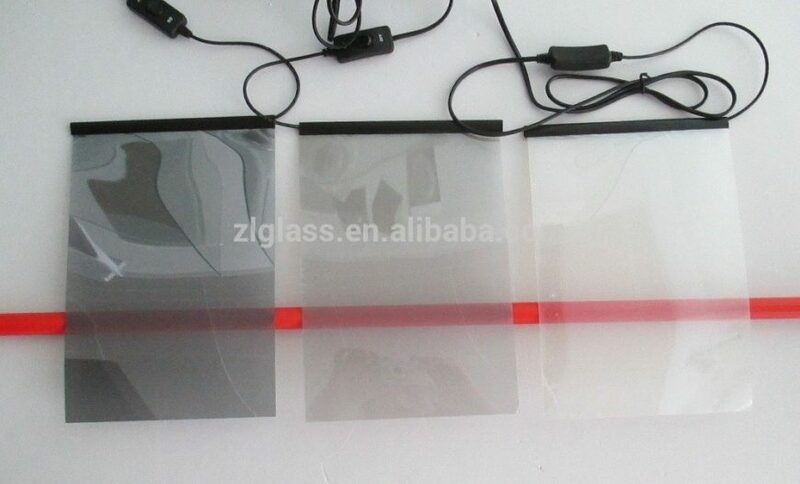 This unique product is a digital shade (or smart film) technology that allows the color of the film to go from transparent to opaque on demand. You can completely adjust the privacy level of your home by determining the amount of light that travels through your windows. The best part about SONTE is, you don’t need to replace your windows; the digital shade can be retrofitted onto any glass surface and controlled via smartphone or tablet app. While it slightly changes the appearance of your windows, it’s an otherwise seamless and stealthily integrated technology that makes a huge difference in day to day life. 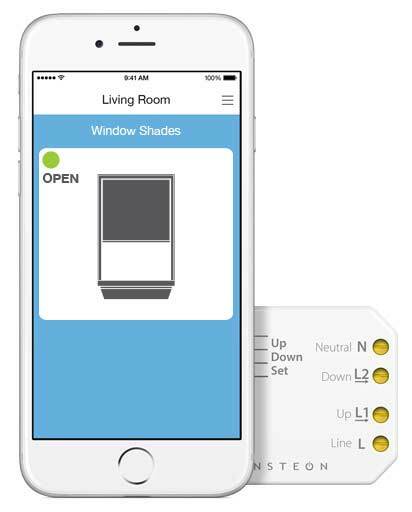 This is a set of motorized shades that works in conjunction with the specialized Lutron app, allowing you to control the natural light situation throughout your home with precision. The app itself is free and comes on both Apple and Android phones and tablets, allowing you to set the light and shade from anywhere on earth. Similar to the Hunter Douglas, you can program “scenes” to set a specific look for a given room. With an ultra-efficient design that will make regular store bought batteries last, these shades can truly help reduce your energy costs with smart shading at the right time of day, blocking out heat so that your air conditioning doesn’t need to run. Even better, you can program it from work so the house is perfect when you return home. The QSync QMotion is the central hub that allows your shades to be controlled right from your smartphone, changing the natural light situation in your home with the swipe of a finger. 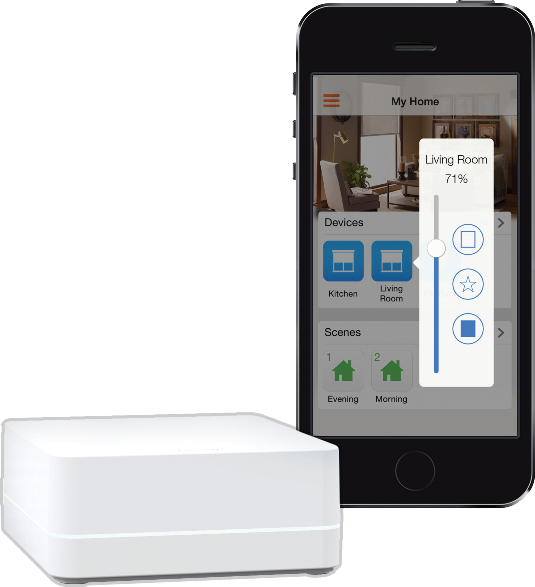 This device is plugged into your home network and acts as a transmitter for all QMotion products, letting you use pictures and names to identify rooms, windows, and zones of the house that can be controlled together or individually. Loxone Smart Home allows each device to connect and work together efficiently using the core of the system: the Loxone Miniserver. 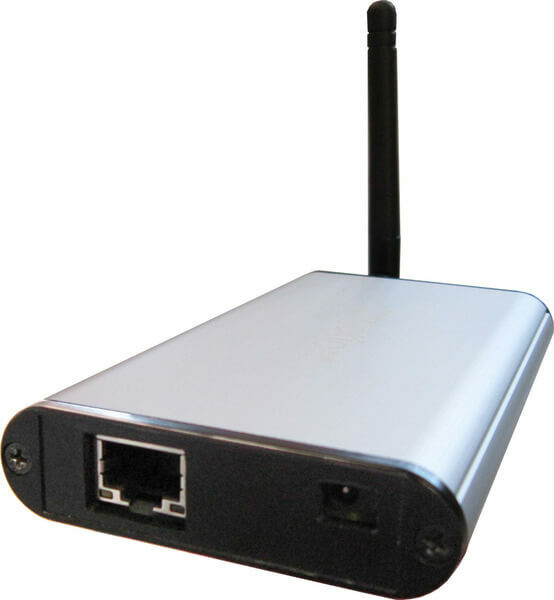 This device is a central smart hub that can connect, control, and automate smart devices in such areas as lighting, climate, security, entertainment, shading, and even pool and irrigation systems. It’s designed to be a comprehensive “brain” at the center of a smart home ecosystem. With an easy to use smartphone app, the entire house is controllable in your hand. “Pushbutton privacy” is what the company calls this smart glass technology, which changes from clear to shade in 400 milliseconds and back to clear on command. It was initially designed for security at high-level government installations, but is now available to everyday folks like us. The InvisiShade can be controlled with standard wall switches, remote controls, and even tablets or smartphones. Even more impressive, it can be turned into a touchscreen computer or cinema screen. The MyLink lets you control every aspect of your windows, including coverings, awnings, screens, and rolling shutters, with a smartphone or tablet via an accompanying free app. You can schedule timed events and scenes to automate the process throughout the week, letting you effortlessly enjoy the benefits without a second thought. Windows can be grouped or individually controlled and each part, from blinds to awnings, will work in concert. The Insteaon remote control is designed to be added to windows, shutters, blinds, projector screens, and more, allowing you to precisely control any and all motorized aspects. It lets you keep your antique, toggle, or decorative wall switches by installing discreetly behind your existing switch. You then control the unit via smartphone or tablet app, from anywhere in or out of the home. Shading can be controlled manually or set on a schedule. This incredible, discreet piece of tech is a slim device that slips on to existing blinds and automatically adjusts the slats according to weather, room temperature, and lighting conditions. As with many other smart tech devices, this comes with an accompanying smartphone app that can sync with your alarm clock to open the blinds first thing in the morning, helping you get out of bed. Pella’s new snap-in, between-the-glass blinds and shades are designed to work with Insynctive technology, a new wireless system that can connect various elements within our home. The shades can be operated by hand, with a specialized remote control, or synced with the Insynctive Bridge for completely untethered operation, courtesy of your smartphone or tablet. The amount of light let through can be carefully adjusted to your liking, and programmed for specific times of day. The Flipflic is a new, deceptively small smart device that attaches to your existing blinds, converting them into an up-to-date automated aspect of your home. 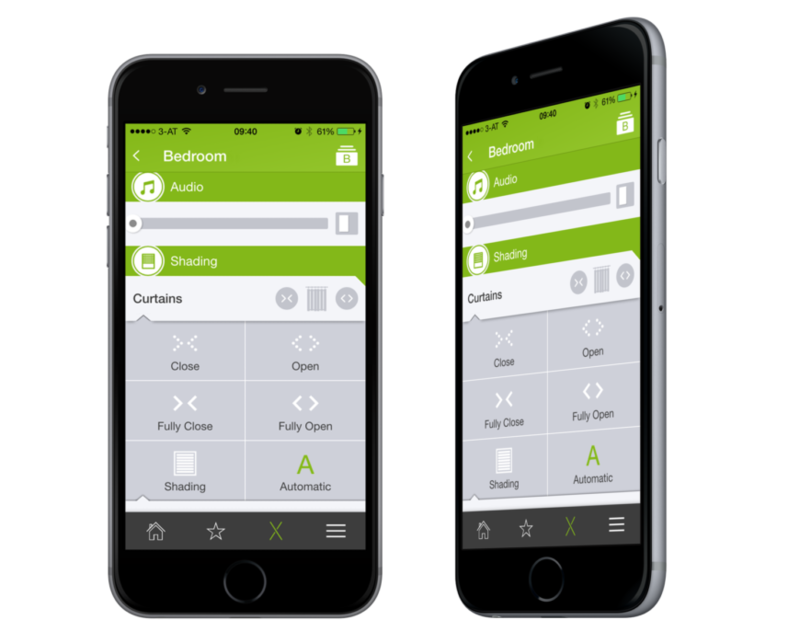 Just like other smart blind devices, you’re able to customize a schedule, create groups and scenes , and set your comfort temperature and light level remotely, using the Magic Wand remote or smartphone app. The app even lets you track energy use and see how much you’ve saved on lighting and climate control costs. These blinds can be controlled individually or in groups that you define, right from your smartphone with an accompanying app. You can program schedules, let the blinds operate based on their own light sensors – closed at sunset, open at sunrise – and even install a Smart Switch on your wall for everyday operation. A unique feature is the TV Tilt function, which makes the blinds close the second your TV is turned on, for the best viewing experience possible. 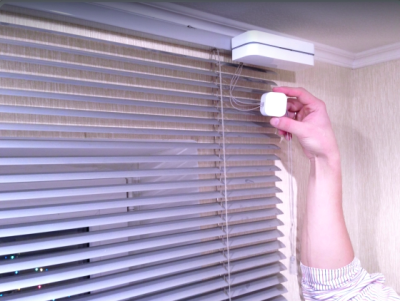 Here’s a peek at the built-in light sensor, which puts the “smart” in these smart blinds. They’re as easy to install as any standard blinds, and even easier to control with your smartphone or tablet. With seamlessly classy blind design, the Bali motorized window treatments boast an unassuming look that blends in with virtually any style of home. The blinds are controlled via the Wink app, giving you total command of the light situation at any time of day, from anywhere. 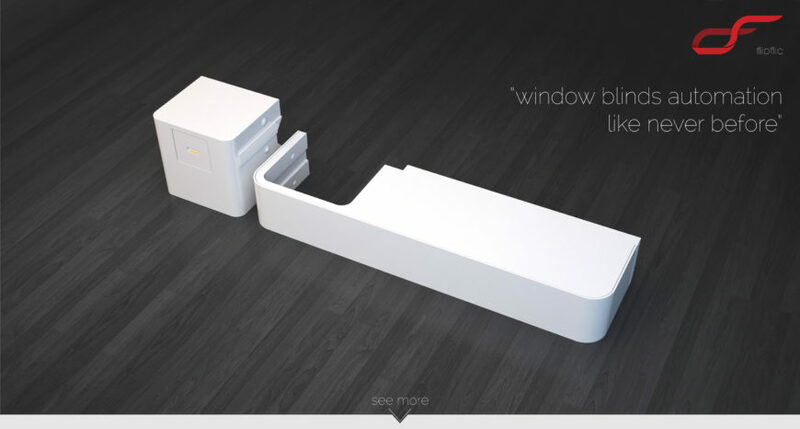 The blinds themselves can be powered by your choice of battery, wall plug, or even solar power. 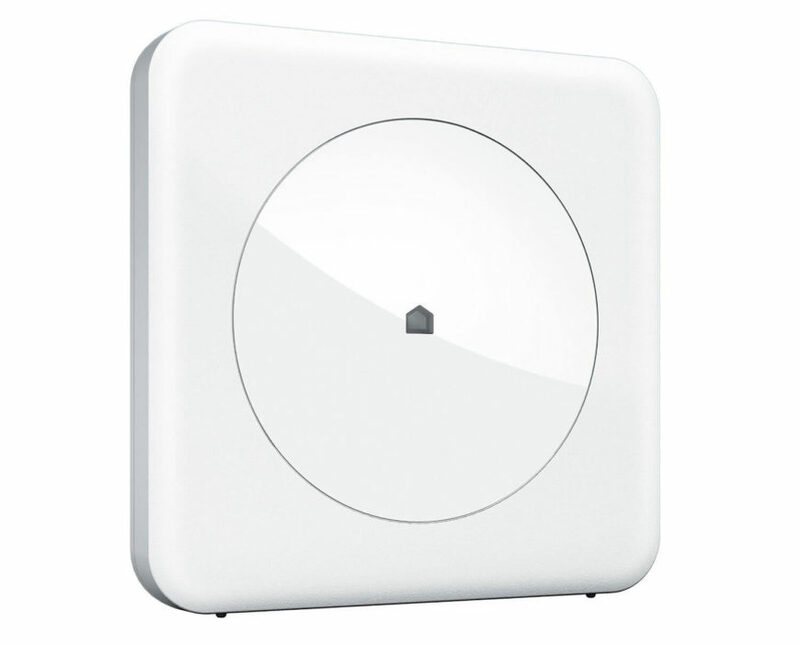 What makes this entire operation click together is the Wink hub, the central piece to an entire smart home ecosystem. This hub ties the blinds, and any other smart home decorations or appliances you have, to the simple free Wink smartphone app, allowing you total control of your home.